Simplicity, ease-of-use and operational efficiency define our aircraft management programs. Best Jets is here to serve you. We can reduce your ownership costs with our industry buying power, expertise and customized solutions. Let us handle all the logistics of aircraft ownership, freeing you to relax and enjoy your investment. Best Jets International offers a full suite of customizable aircraft management solutions. With over 100 years combined aviation experience, our dependable team can work with new or existing flight departments, and individual owners to deliver value and cost efficiency. 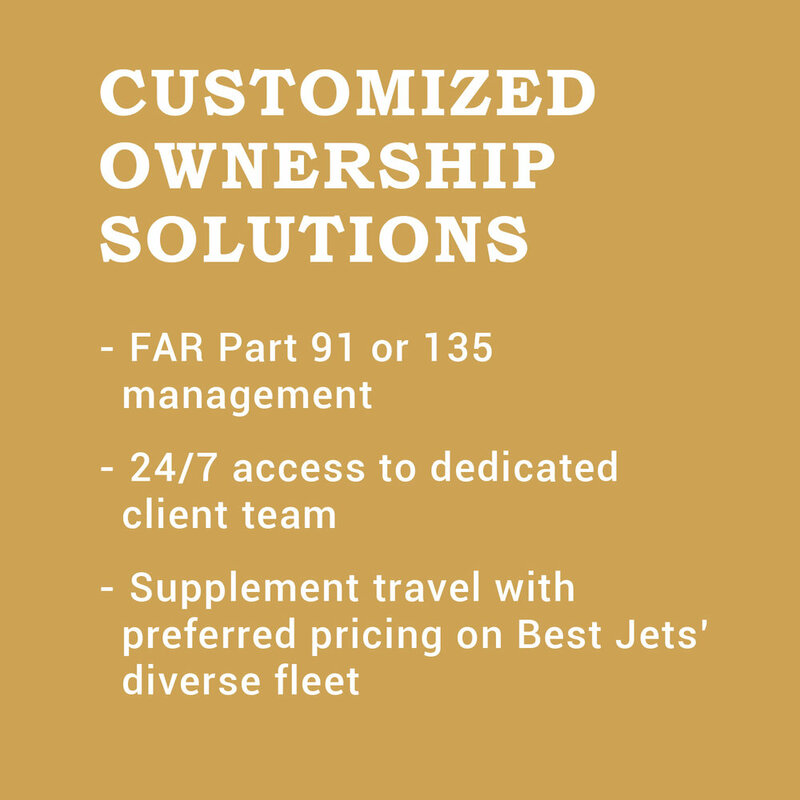 Our program is designed to alleviate all the hassle of ownership including administration, trip coordination, flight staffing, maintainance, storing, operating, and risk management. Private Use Aircraft Management is ideal for corporate flight departments and for private owners who require discretion and security. Your aircraft will be operated and maintained with the highest safety and service standards possible, and your flight routing details are not trackable by the public or your business competitors. 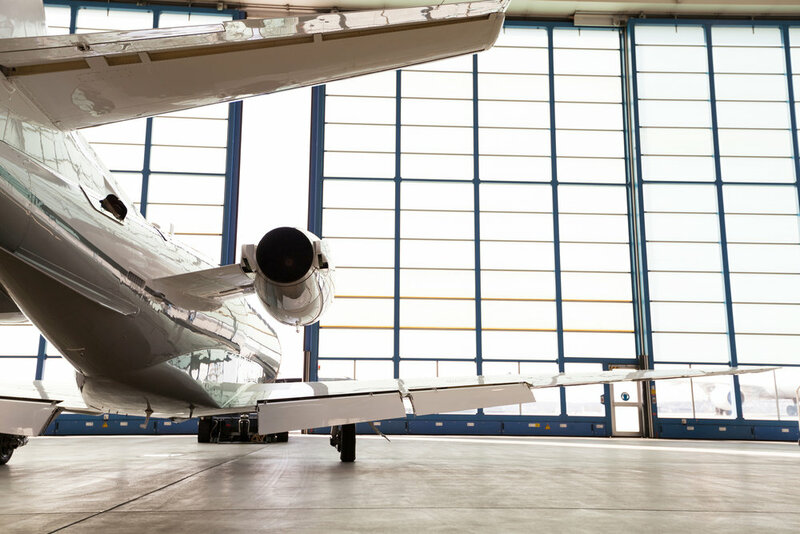 Non-charter management allows you to maintain complete control of the scheduling of your aircraft, while still providing expert crew support and maintenance oversight. 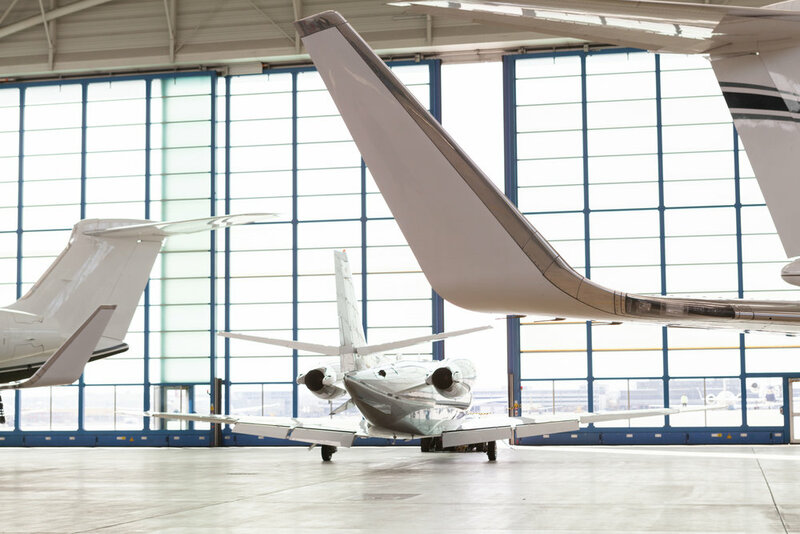 When your aircraft is unavailable due to a maintenance event or the trip mission requires a different or additional aircraft, you will receive preferred access and pricing to all charter aircraft in the Best Jets fleet. Through Charter Aircraft Management, you receive all the benefits of our FAR Part 91 management package. Additionally Best Jets will position your aircraft on the charter market, thereby offsetting your cost of ownership. As the aircraft owner, the availability of your aircraft for personal use and outside charter is up to you. Best Jets will ensure your aircraft is ready for you when you need it, and working for you when you don’t. To explore the benefits of aviation services with Best Jets International, please contact us directly.